You must make bookings at least 5 minutes in advance of the time at Gallery Mess. 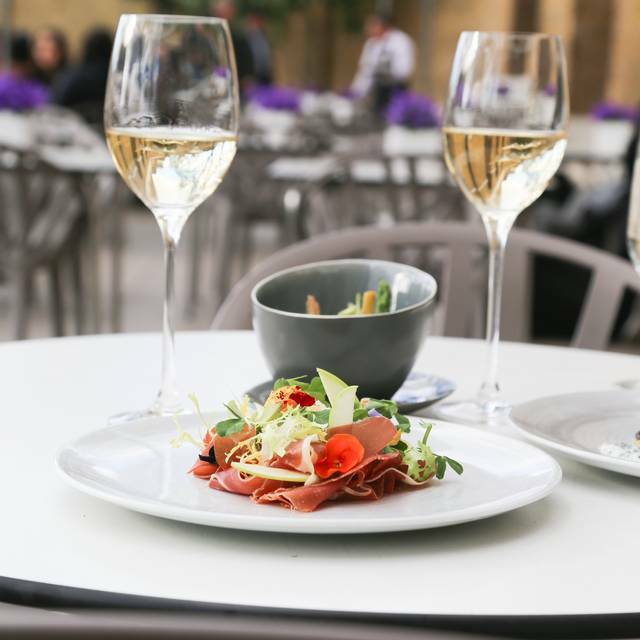 The Saatchi Gallery is delighted to offer this unique and stunning venue for private dining and events. 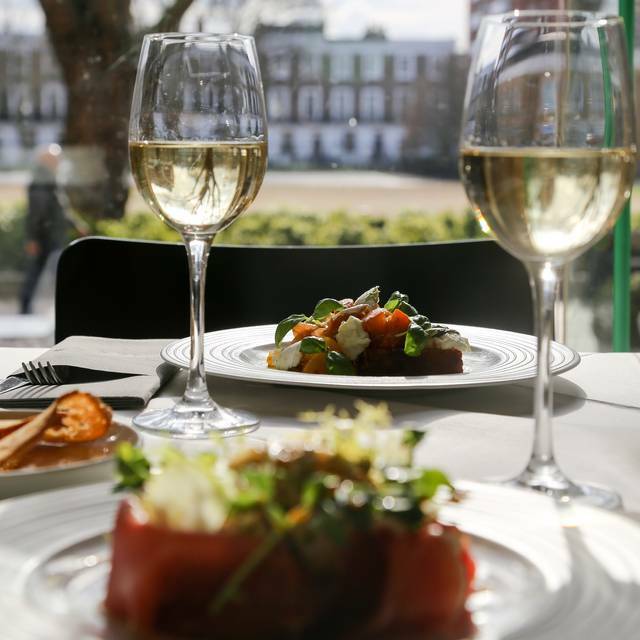 “rhubarb” Food Design provide food at the Gallery Mess restaurant and bar at the Duke of York’s Headquarters in the heart of Chelsea. 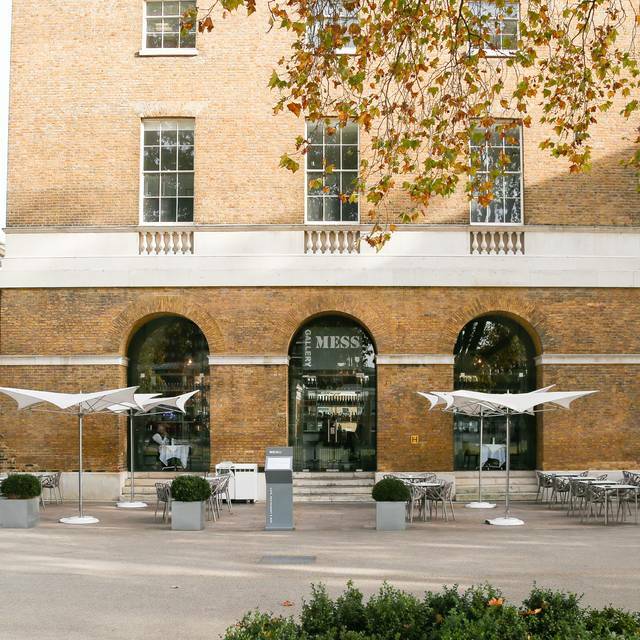 Gallery Mess at the Saatchi Gallery has attracted enthusiastic reviews for its beautiful setting, charming atmosphere and excellent food. 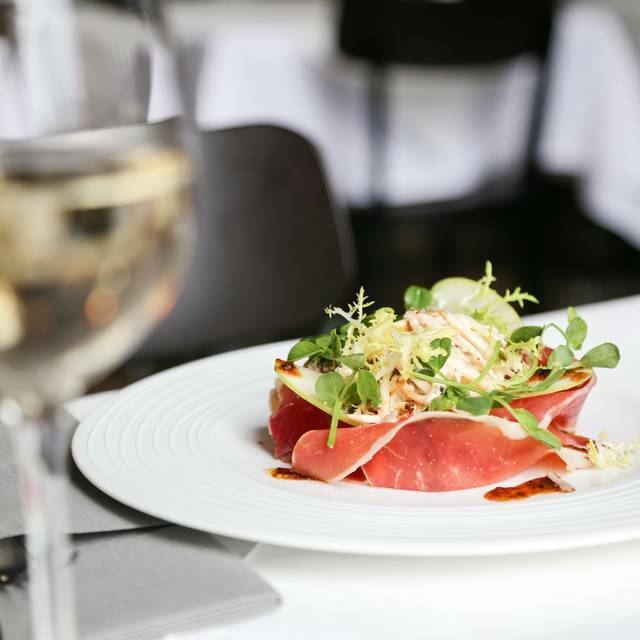 With exposed brickwork, vaulted ceilings and display of art, the listed interior provides the perfect location for dinner, a long leisurely lunch or drinks. 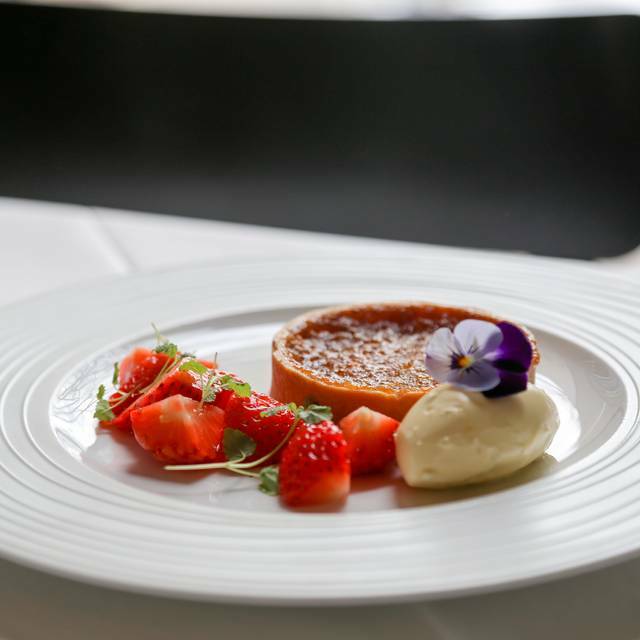 The seasonal menu and extensive bar selection is provided by award winning Rhubarb Food Design. The restaurant also benefits from a wonderful al fresco terrace. Gallery Mess can be hired exclusively for private events. Not the best experience I’ve had at this place. Nothing specific was wrong (apart from our waiter kept forgetting to bring things we’d asked for) but nothing was brilliant either. Value for money not delivered on this occasion. A beautiful bright place with lovely art and conveniently located right next to the Saatchi Gallery. Extremely friendly staff and excellent food. We visit regularly & you never disappoint. A beautiful dining space, great service & stunning food. What’s not to love ! Also the friend I visit with has an hour (or so) for lunch which is courteously taken on board & we achieve it seamlessly allowing for a one course lunch & coffee. We first visited Gallery Mess last Summer and loved it. Delicious food and waiting team was helpful and attentive. Thank you. We had the burger , oh dear. The gherkin was sliced so thinly it was a wonder it wasn’t transparent . Only one slice . Burger was under seasoned and rather dry and tasteless . e al ragazzo al bar per la sua simpatia. We thought they would do brunch. Disappointed they did not but the staff were extremely helpful and made suggestions from the lunch menu. They did have pastries which were good. Love this place! Child friendly and always willing to accomodate!!! Highly recommend! Very nice service and super atmosphere. We enjoyed our dinner here so much we went back a few days later. Lovely atmosphere and helpful staff who don't rush you through a meal. And the rhubarb crumble is simply delicious! Great location and wonderful CFS menu which we all agreed, we could have eaten everything on the menu if time and appetites allowed! Service was a bit slow though and we didn't need a fresh napkin for every course! I had a very nice light lunch with a friend. The ambience was pleasant and the service was excellent. The food itself was pretty good, but what I didn't like was the service of the person who checked us in - she was very rude... we made a booking online for 14.00 - received and email notification to confirm. we showed up for our slot and were very rudely told that they don't do 14.00 slots, come back at 14.30, no apologies - nothing. Another downside is that you don't get unlimited loose leaf tea - I thought that was strange. However the food was tasty. The waiter also seemed condescending. All in all go for the food not for the service. Friendly service, food nice, but portions a little small. Attractive room, with interesting art! The place is pleasant, but drafty if you sit next to the glass doors. Busy at lunch time, but usually very quiet in the evening. The food is ok, but could be improved. Curried pumpkin soup was tasty, much less so Indian-style chicken. The food was absolutely gorgeous and delicious, would recommend it to everyone. Great experience. Food and service was great, I just wish gallery was open. The quality of the food was amazing even for a really busy morning as Saint Valentine's one was. Lunch was a delicious treat. Plenty of choice for everyone and all well executed. We are very satisfied with our Afternoon Tea, we got what we wanted. a wonderful afternoon tea before a wander round the gallery. The tea for two included three lovely finger sandwiches each. One smoked salmon, one cream cheese, and one coronation chicken. All with a good amount of filling. We then ate a scone with jam and clotted cream. The scone was freshly baked and still warm. It was fantastic and the cream and jam were both excellent. Finally we ate a slice of chocolate tart, which was a little rich for me, but very good. Then a chocolate a chocolate macaroon which was great, and finally a mini vanilla cupcake. The tea for a delicious earl grey and we also enjoyed a glass of prosseco. The whole experience was fantastic and the service was fast and friendly. Definitely recommend. Perfect for meetings outside the office. Good food and excellent service. Good size tables and good privacy for confidential conversation. We went for afternoon tea on a Saturday. The place is lovely -- exposed brick walls and a nice feel, though very loud as it was full and the tables are quite close together. We ordered the standard afternoon tea and were served one tiny cup of tea and had to flag people down and ask multiple times before being given milk and sugar for the tea. By then the tea itself was getting cold. The food was fine. Nothing spectacular but fine. After we were served this initial cup of tea and plate of food, once we finally managed to get milk and sugar grudginly provided, we were never once approached by anyone ever again. We kept having to flag people down to get anything and to finally get our bill. It grew tedious. So overall I'd say, go if you're in the Saatchi Gallery. It's a nice enough place and the prices are reasonable. Just go when it's less busy and maybe you'll actually get someone to serve you. Place is great, view is amazing. Good food. Empty, don't know why. The food here was good - hearty food, well prepared. You can see the same menu elsewhere for slightly cheaper, however it was a lovely setting and very convenient for the Gallery. The food was excellent, we had the vegetarian sharing platter and the sharing cheese board, the cheese in particular was lovely, as usual not enough biscuits though. The non-alcoholic cocktails were yummy. The staff were a little rushed, perhaps could have done with a couple more to cover the busy lunch time rush, But all members of staff were polite and kept apologizing for the delay to our meal. It was quite cramped, I wouldn't have liked to take a wheelchair in, although there is wheel chair access. i would recommend the restaurant to any one going to the gallery, for the convenience. I have always eaten well here whether for brunch, lunch or informal dinner. The food is delicious, staff relaxed but attentive. Nice room and view, but service a little poor - bread/ olives asked for, but never arrived, then wrong mains delivered, had to be taken away. Given the look of the restaurant and the prices, I just thought it would be better. Good value and good tasting afternoon tea in a wonderful location next to the saatchi gallery but could have been so much better. Unfortunately, ruined by bad service , we ordered side dishes that never came despire asking twice and it took 25 mins for order to be taken. Also placed on a table right next to the noisy kitchen even though we booked in advance - waiters pacing every few moment but never stopping to attended our table. Visited the sacchi gallery next door. What a great end to a fun day. Lunch was well priced for what we had. The food was beautifully cooked and presented. My main dish was particularly tasty. Cod with crab infused mash. The waiting staff although very pushed as there were not enough of them were friendly polite and efficient. We will definitely return to this restaurant, maybe for afternoon tea as the table next to us has a lovely spread! To be recommended. Great location, good tasty food and excellent service. 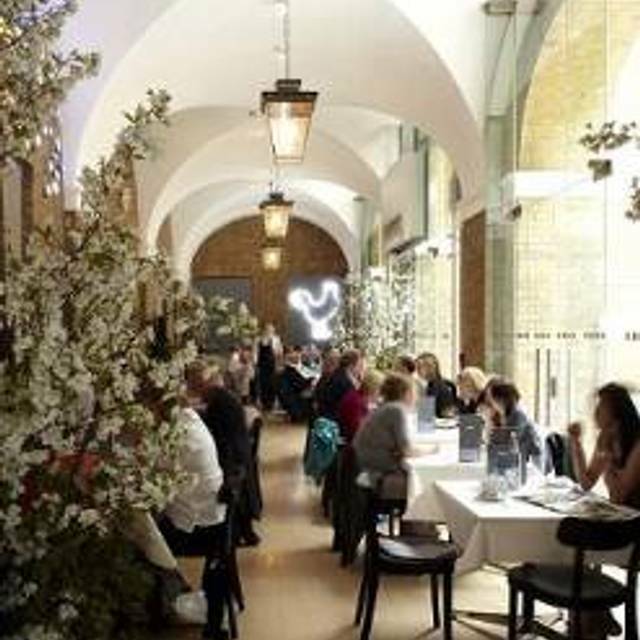 Looking out at the gardens and decorated trees of the Saatchi Gallery whilst eating "under the arches" creates its own special ambience. Food was well prepared but the service was, if anything, over-attentive. Portions sensible for a season of over-eating. We had dinner here with our two children age 4 and 10 and we all enjoyed it. The service was fantastic. The kids food was lovely and brought very quickly. Recommend for a post shopping family meal. The food was just lovely. There could have been more cakes and sandwiches on the plate but the ambience made up for it. We ordered two afternoon tea menu's with tea and bellini. It took them 45 min inlcuding a reminder to get our food. The staff did not seem to care much and seemed too occupied with themselves than serving guests. However they did get the message and took off the service charge in the end.